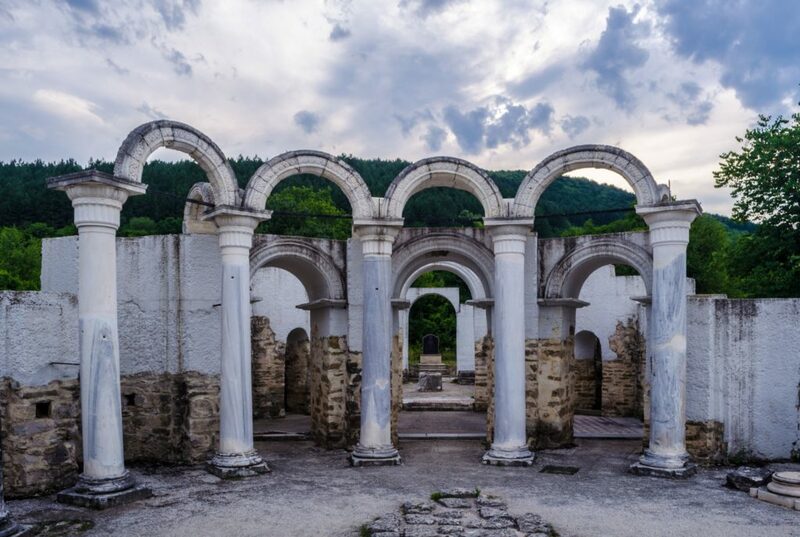 A virtual walk around the locations where the First Bulgarian Empire started in 681 AD – from the first Bulgarian capital: Pliska, Veliki Preslav – the center of the Golden Century, Shumen and Ovech Fortresses, the Madara Rider, the Thracian tomb Svestari, rock monasteries, and stone formations, to the communist Founders of the Bulgarian State Monument with amazing art futuristic appearance. 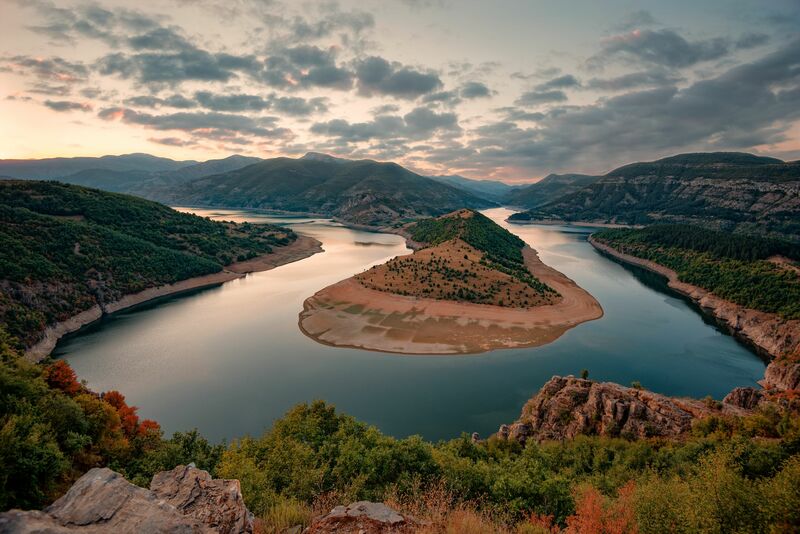 All described places are located in North-Eastern Bulgaria, close to Varna. The First Bulgarian Empire existed in Southeastern Europe between the 7th and 11th AD. It was founded in 681 when Bulgar tribes led by Asparuh moved to the northeastern Balkans. During the late 9th and early 10th centuries, Simeon I achieved a string of victories over the Byzantines. Thereafter, he was recognized with the title of Emperor. Simeon’s successful campaigns against the Byzantines, Magyars, and Serbs led Bulgaria to its greatest territorial expansion EVER, making it the most powerful state in Eastern Europe at that time. 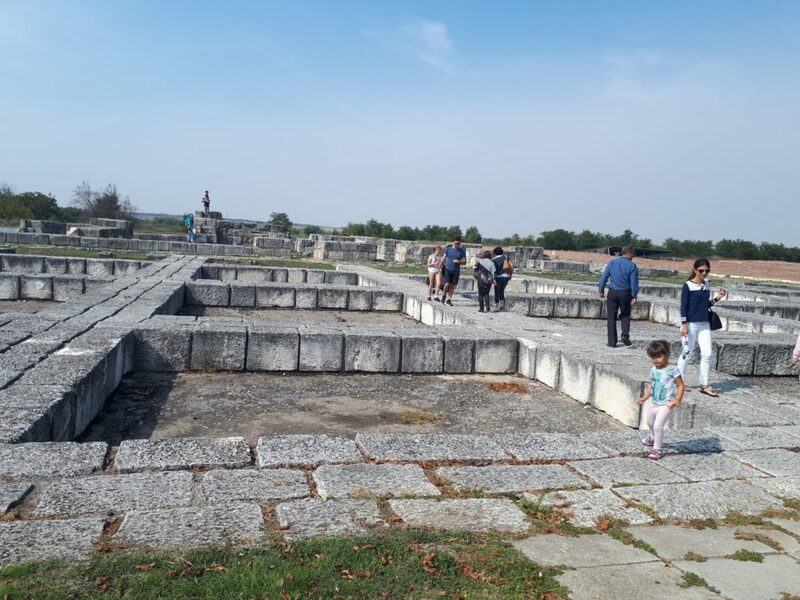 Our first step is starting from one of the most precious sources of Thracian and UNESCO heritage, from 3rd century BC – the Tomb Svestari. 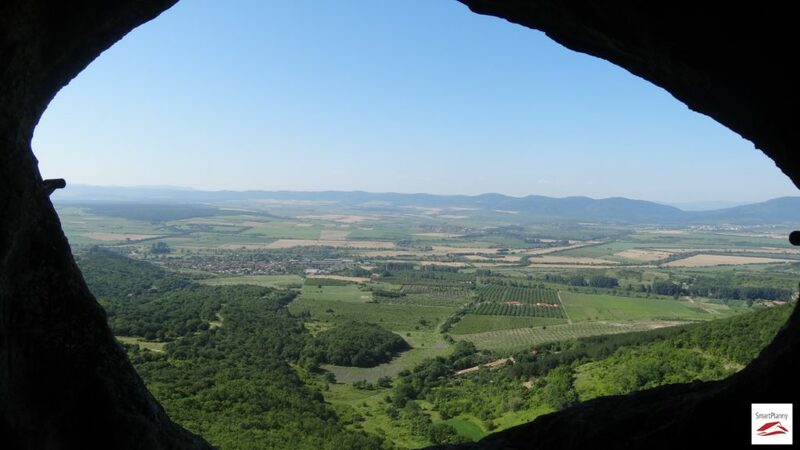 It is located in the village of Sveshtari, Razgrad Province, 70 km from Shumen. My first association when I saw it, was that I am in a scene of Game of Thrones movie due to its rich decoration and exotic female statues. 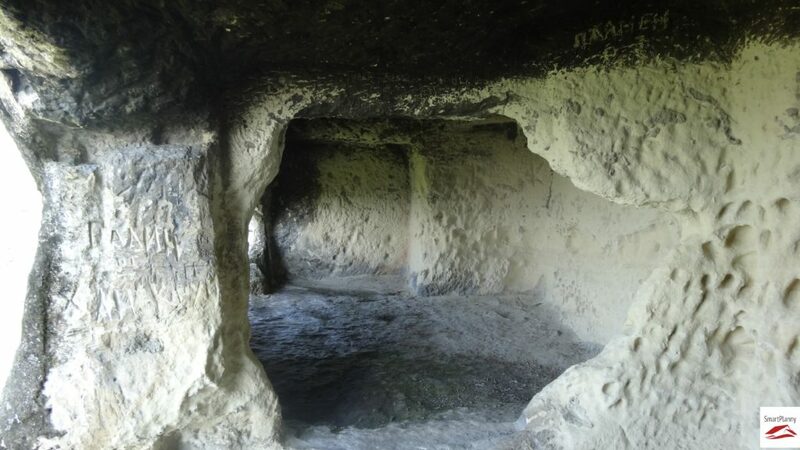 It consists of a dromos (corridor) and three premises-chambers, as each chamber is covered by an individual arch. The tomb decoration is inspired by the Hellenistic culture and transformed through the vision and beliefs of the Getae (a Thracian tribe). The body of the dеseased ruler was laid in the chamber. 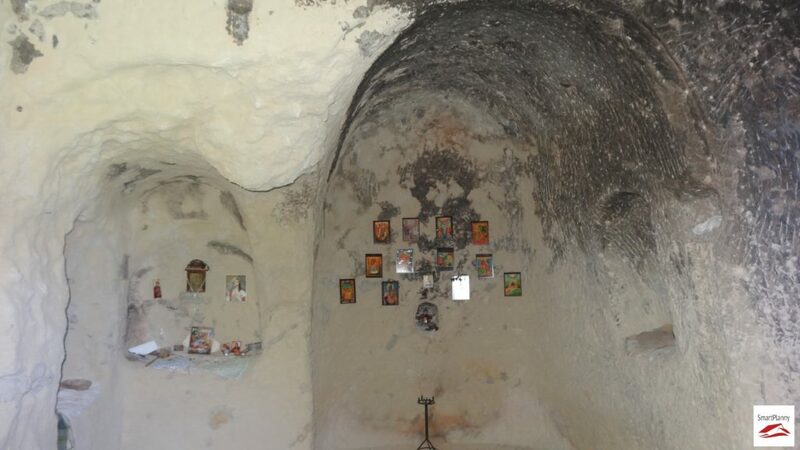 The unfinished decoration on the walls and the ceiling show that he had died before his eternal home was completed. 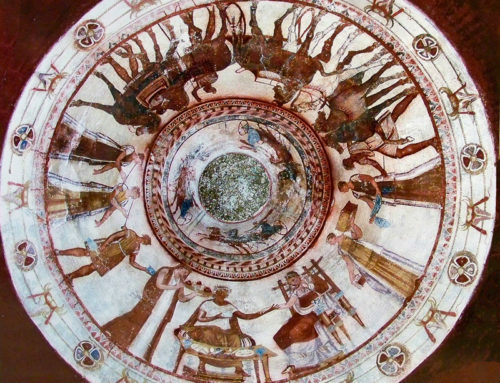 The chamber ceiling is held by statues of women with raised hands – caryatids, whose faces, and hairs still preserve the remains of colorful decoration. 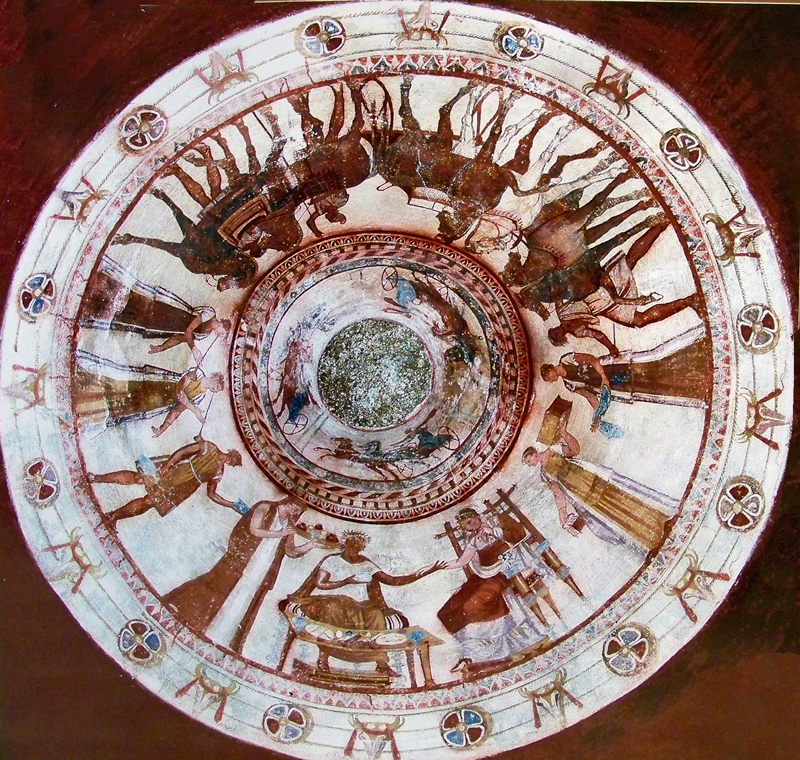 A scene of divinization of the ruler is presented on the ceiling. 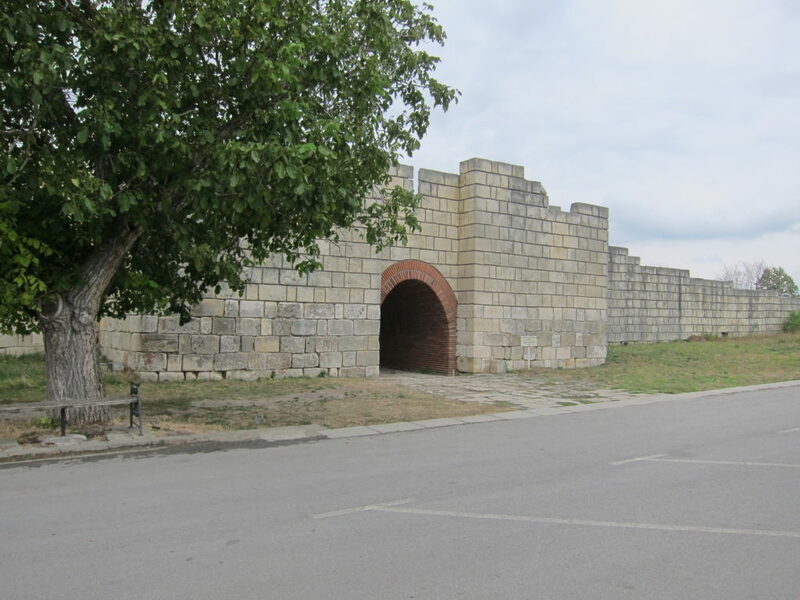 Pliska is a small town situated 20 km Northeast of the Shumen. 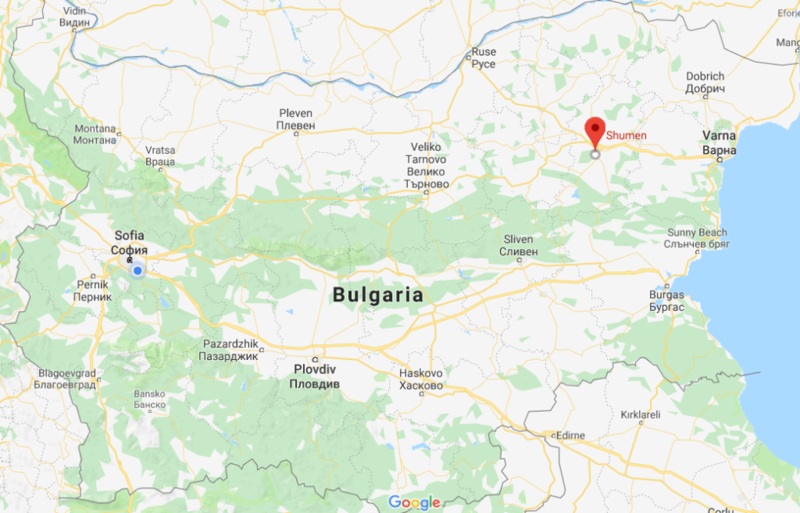 The story of the Bulgarian Empire begins in 680 AD, Bulgars crossed the Danube and invaded lands now part of modern-day Bulgaria, which was at that time largely inhabited by Slavic farmers. The Byzantine Empire sent an army against the intruders which ended disastrously. As a result of this defeat, the empire was forced to sign a treaty recognizing the Bulgar state in 681. Another shocking milestone in the history happened when Byzantium Emperor Nikephoros I led another campaign in 811. The Bulgarian leader Krum was not prepared to face the emperor’s army and thus abandoned Pliska. The Byzantines plundered the palace and town there and burned it to the ground as it was largely at this time made of wood. Soon after, the Byzantines were driven out by Khan Krum. After the battle, Krum encased Nikephoros’s skull in silver and used it as a cup for wine-drinking. Later in the ninth century, during the reign of Boris I, the pagan temples in Pliska likely began to be converted to Christian churches. When Boris retired to a monastery, his son Vladimir succeeded him and attempted to re-establish paganism. During this period the large stone basilica at Pliska built under Boris was heavily damaged. Boris left his monastery, overthrow his son and blinded him. 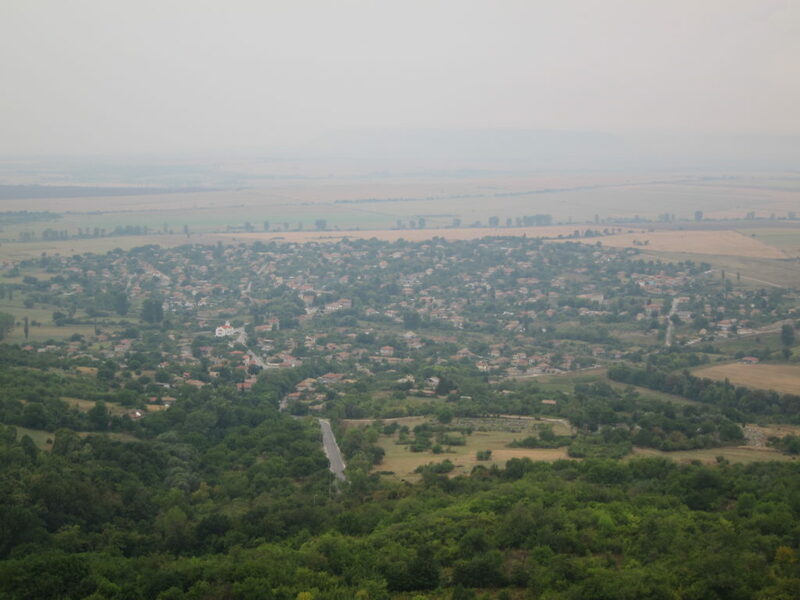 Then he relocated the capital to the nearby town of Preslav. Another interesting place to visit in Pliska surroundings is the Yard of the Cyrillic alphabet – unique cultural-historical complex. It glorifies the fact that Bulgaria was the first Slavic country to adopt Orthodox Christianity as its official religion and Cyrillic as its official alphabet. It is organized in two interconnected spaces. In the yard are placed 2 meter-high Cyrillic letters and each one has its message. There is a gallery which tells the story of the Cyrillic alphabet in pictures. In front of the fortress, there is a unique Writers’ Alley, which will feature artists and writers from national cultures and religions, who have worked with Cyrillic alphabet. Entering the hall on the first floor of the fortress, you can see wax sculptures of the disciples of the Slavs’ first teachers. On the walls, there are wood-carved panels with the letters of the Cyrillic alphabet. 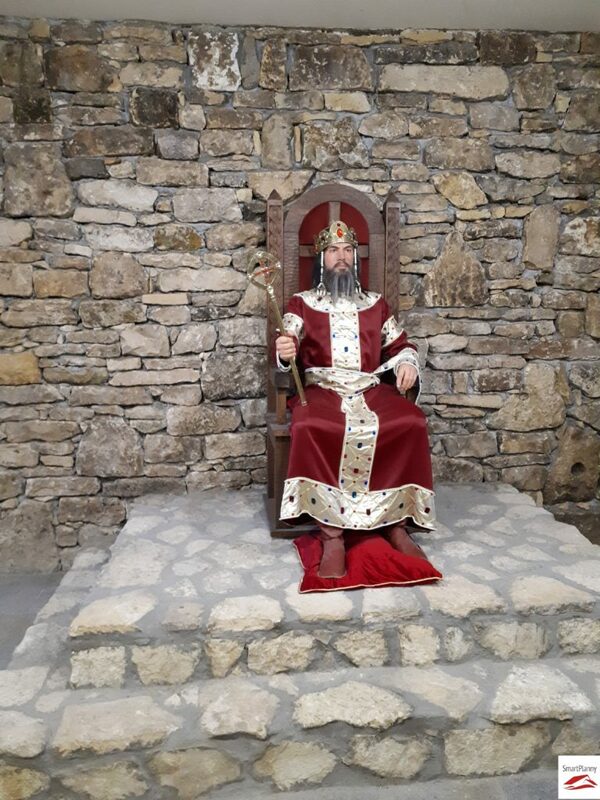 On the second floor of the Fortress, you can see the fascinating wax figures of the most glorious rulers, making the First Bulgarian State an invincible European force. Nearly 300 million people in the world use the Cyrillic alphabet. These are Slavic people from Southeastern Europe, as well as Russians, Ukrainians, Belarusian, representatives of numerous non-Slavic peoples in Russia – peoples from the Caucasus region, Siberia, people from former Soviet republics and Mongolians. At least 50 languages are currently written or used to be written in Cyrillic. Bulgaria is the only EU Member State using the Cyrillic and Bulgaria’s cultural contribution with its 30 letters cannot be denied. Let’s take a break from the urban reading of the history and visit a unique art-natural-ancient masterpiece. 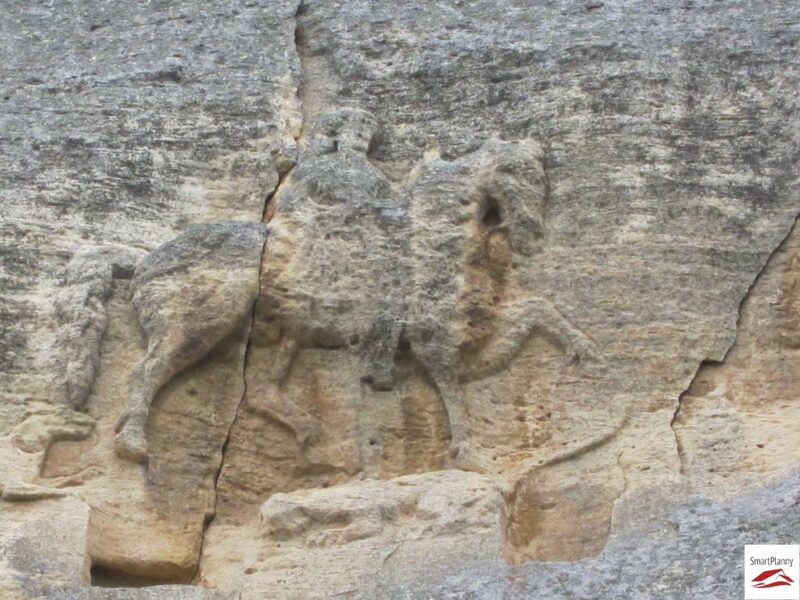 This is another UNESCO Heritage Center: the Madara Rider located near the village of Madara. The Madara Rider, representing the composition of a knight triumphing over a lion, a dog, and an eagle is carved into a 100-m-high cliff. Madara was the principal sacred place of the First Bulgarian Empire before Bulgaria’s conversion to Christianity in the 9th century. The Madara Rider is a unique relief, an exceptional work of art. It is the only of its kind, having no parallel in Europe. It is outstanding not only as a work of Bulgarian sculpture but also as a piece of historical source material dating from the earliest years of the establishment of the Bulgarian state. The inscriptions around the relief are, in fact, a chronicle of important events concerning the reigns of very famous Khans. Today is widely regarded as a symbol of the power of the First Bulgarian State. The bas-relief is associated with the large cult complex created on the terrace under the rocks, including a sanctuary, capitals, palace and residential buildings, and other buildings. 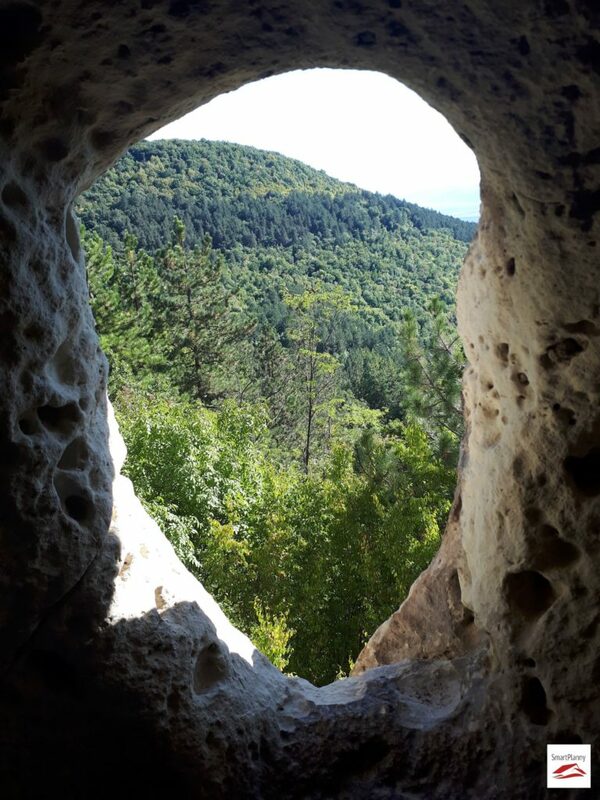 At the foot of the rocks, there is a large cave named “The Cave of the Nymphs”, where the Thracians in ancient times worshiped their deities. 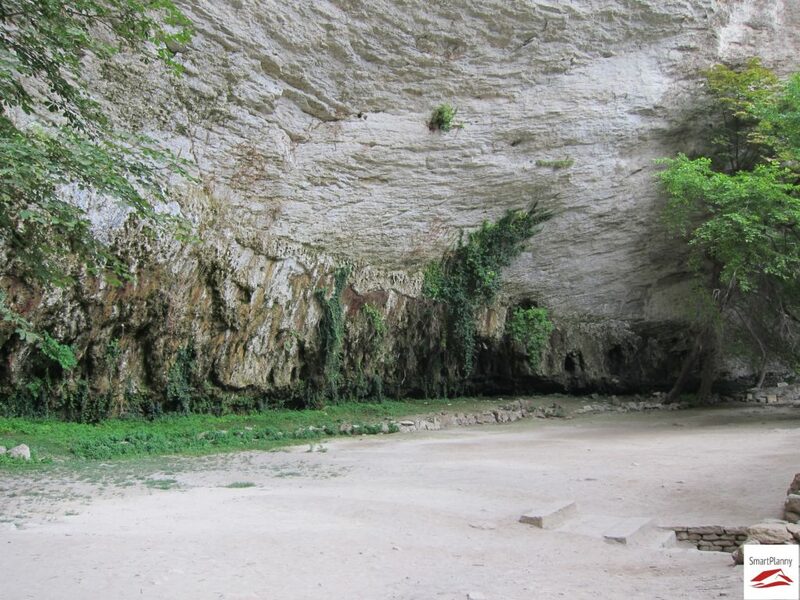 The place is very romantic with the green climbing plants and pouring water on the walls of the cave. 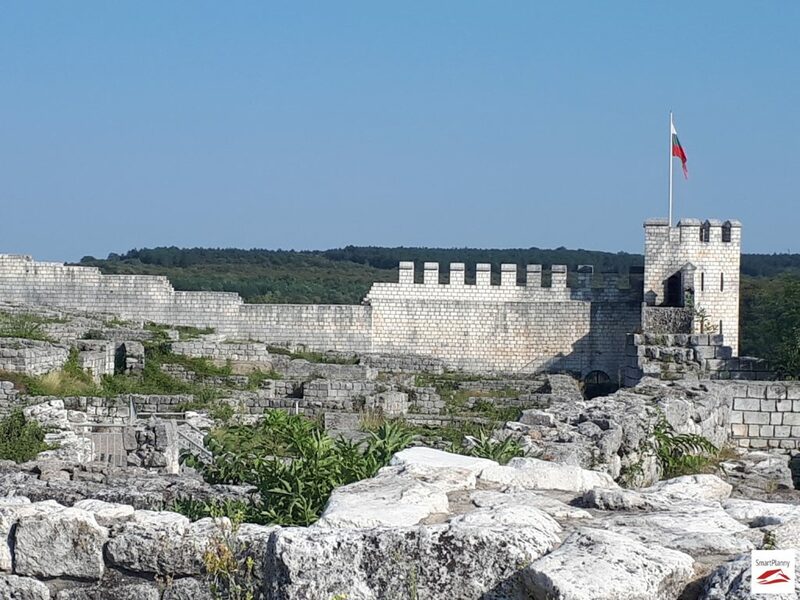 For the adventurous hiking-fans, I recommend a steep walk to the top of the Madara plateau, where you can see remains of a mediеval fortress and breath-taking panorama to the area. Veliki Preslav is located 20 minutes from Shumen. It was one of the most important cities of medieval Southeastern Europe. Under Simeon the Great, the city developed rapidly, turning into a center not only of Bulgarian politics and diplomacy but also of Slavic culture, literature and fine arts. The impressive architecture of the Round Church and the Royal Palace, Preslav was a true rival of the largest and most important city centers in the western hemisphere. The city was prominent with the center of the Preslav Literary School and the work of the greatest Bulgarian writers from the Old Bulgarian period. Worth to see also the Archaeological Museum Veliki Preslav with a special hall for the treasures found in the area like the Preslav Gold Treasure, a medieval model of the Capital Veliki Preslav with all buildings and palaces, the famous icon with ceramic tiles of Saint Theodore and many more. When I saw for the first time a picture of Ovech Fortress, I couldn’t believe that this location is in Bulgaria. It is a remarkable MUST-SEE place and surprisingly still a bit unknown even for the locals. Ovech is a stone fortress the remains of which still stand on a ship-shaped plateau east of Provadiya, 50 minutes from Shumen. The fortress was inhabited successively by Thracians, Romans, Byzantines, Bulgarians, and Turks. At the fortress, visitors can see the talking 79 m-deep well, the bishop’s church, the knight’s prison, the tower with the devil’s path, and the Friars’ holes. The Ovech eco trail is a picturesque hiking trail which starts from the city center of Provadia and goes along the western slope of the plateau. Ovech is perfect for a productive photo shooting session – the 11-25 m high rocks embracing the place, the 150m long bridge connecting the fortress with the Tabiite plateau, the breathtaking panoramic views of Provadia and the surroundings – all these are soul-stirring moments. 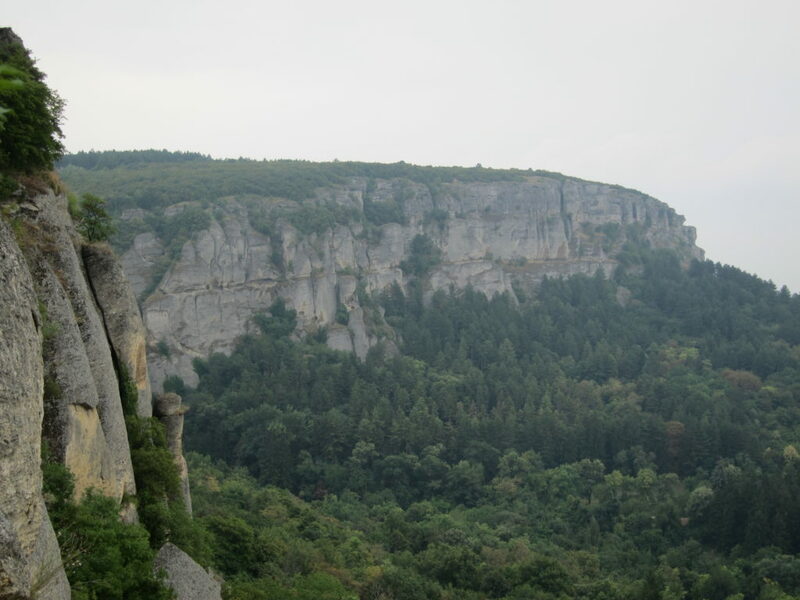 The region of Shumen is where for the first time I have seen a monastery built into the rocks. 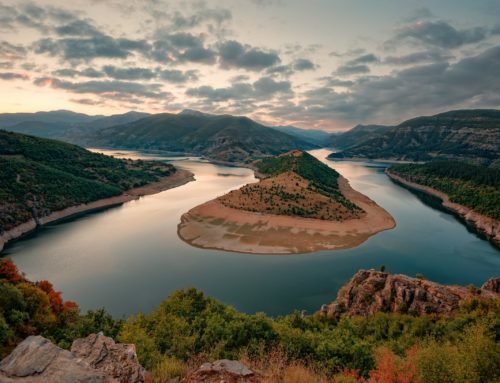 Yes, there are also other places in Bulgaria, where you can see this stunning vista! The area is rich with these and here I would like to present 2 of them which left vivid long-lasting reflections in my memory. It is located next to the village of Troitsa, 20 min drive from Shumen. The walking trail to the cave is around 30 min from the village, easily accessible although the steps to the cave at the end are a bit steep. 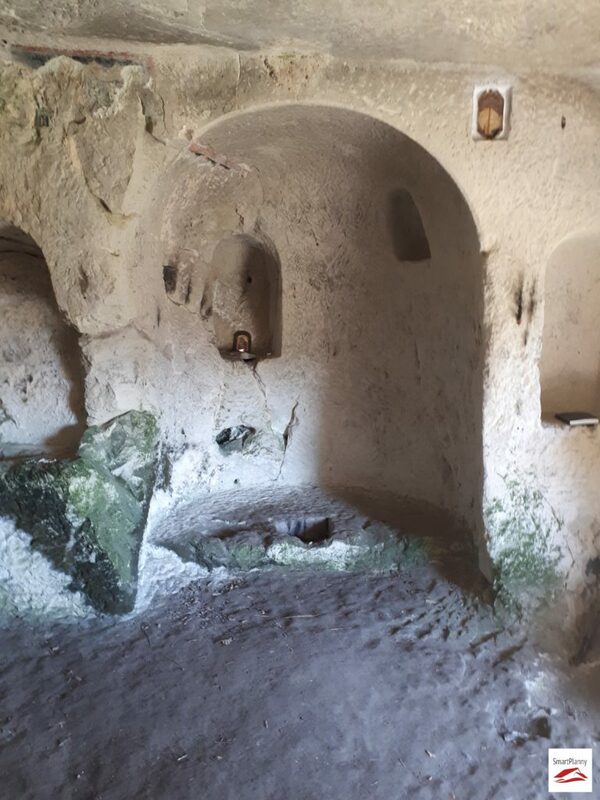 For the rock monastery, a natural cave was used which was further adapted and prepared for the needs of the monks who lived here. The temple is crafted and precisely carved directly into the rock. The monastery church is distinguished that it has a circular niche with an altar. Not to forget, of course, the top view from the cave! This is another fine example of the precious rock monasteries in the area with a bonus which I will show later in this ‘novel’. The monastery is located near the village of Osmar, 30 minutes drive from Shumen and close to Khan-Krum Rock Monastery. The trail to the monastery is well indicated with signs. Half of it is easily accessible, the other half is steep and requires comfortable hiking shoes. If you have already reached the place, you can shake the bells positioned in the cave. The ringing is thundering and you can surprisingly help the tourists who are looking in the area the way to it :). 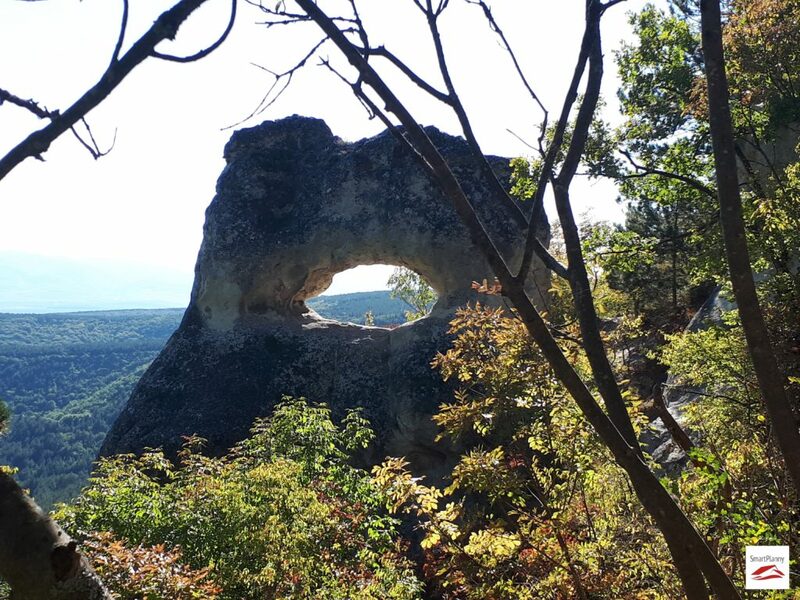 The bonus which I mentioned earlier is the rock formation “The Eye” which literally is located on the top of Kostadinov monastery. The area is again considered to be an exceptionally powerful source of energy. 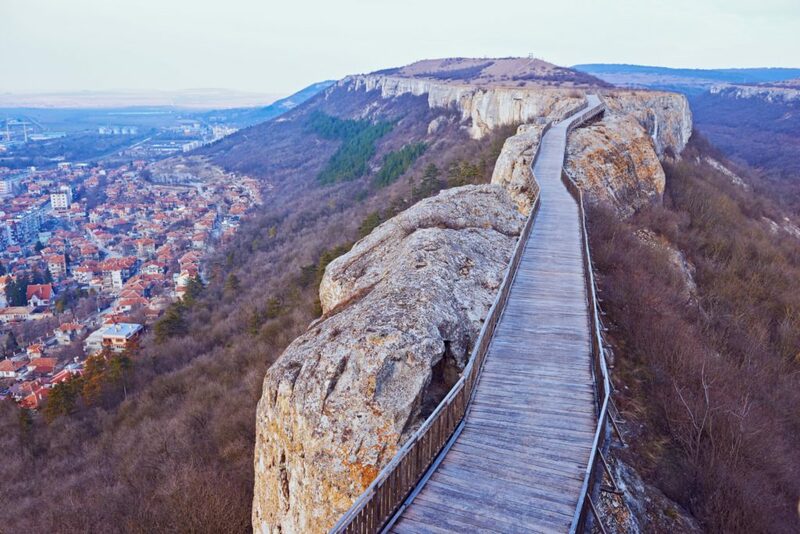 Last but not least, let’s walk around the sightseeing in the heart of the city of Shumen. Extremely lucky, this time, we succeeded to hire for a first time a guide ( although it was a national holiday and the place was crowdy with tourists). I highly recommend Daniel who you can appoint at the entrance of the site. He is a local guy, his grandfather participated in the excavation of the fortress and he visually created in front of us majestic pictures from the ancient times, when the fortress was densely populated. For example when the citizens have hidden behind its walls at the time of Ottoman attacks. Or the little craft shops where every craftsman created his own magic. Or the small square where people sold their goods and you can even feel the aroma of different herbs. 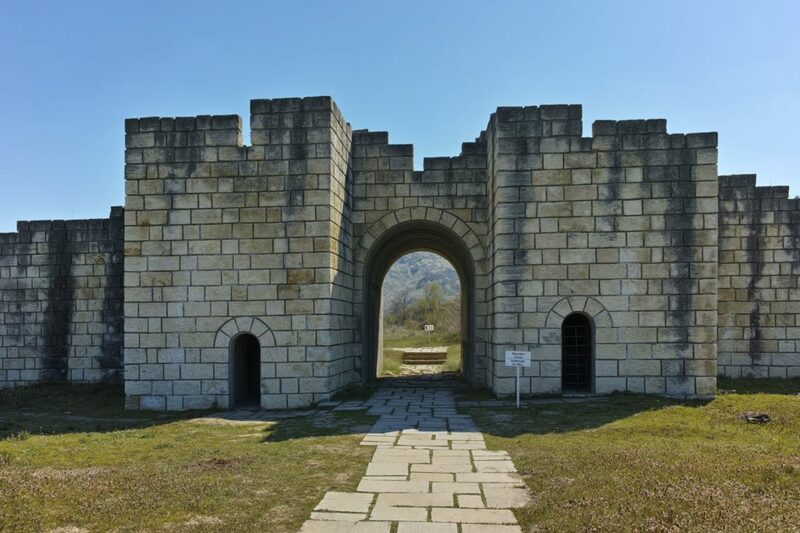 This is an ancient fortress owned initially by the Thracians in the 5th century BC. Then controlled by the Romans who built towers and walls, refurbished by the Byzantines as their garrison town. Shumen thrived in the Middle Ages as an important stronghold of the Bulgarian Empire. In 1444 the fort was destroyed by the Ottomans after their victory in the Battle of Varna. The fortress was the best-developed citadel during the 14th century. An interesting fact is the fortress had a system of underground tunnels where people could escape to the near hill in critical times. 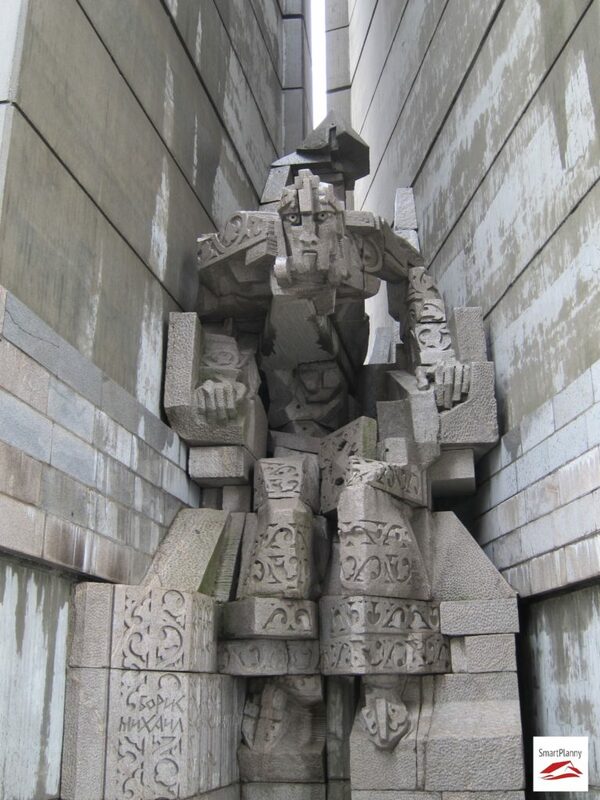 Maybe surprisingly for some of you, I left as last in my post, the jewel in the crown (in my humble opinion), a communist monument named Founders of the Bulgarian State Monument (alternatively: The Monument to 1300 Years of Bulgaria). Probably you are asking why a communist artifact can deserve such a prominent role in this epic writing?…. Let’s wait a minute until I tell you the story. 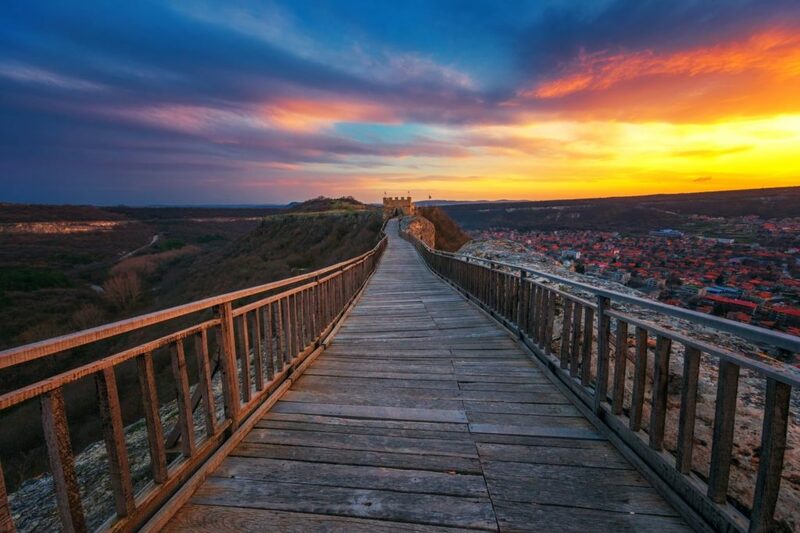 The monument is located in the highest part of the Danube Plain – Shumen Plateau – 500 meters above sea level and towers over the city of Shumen. 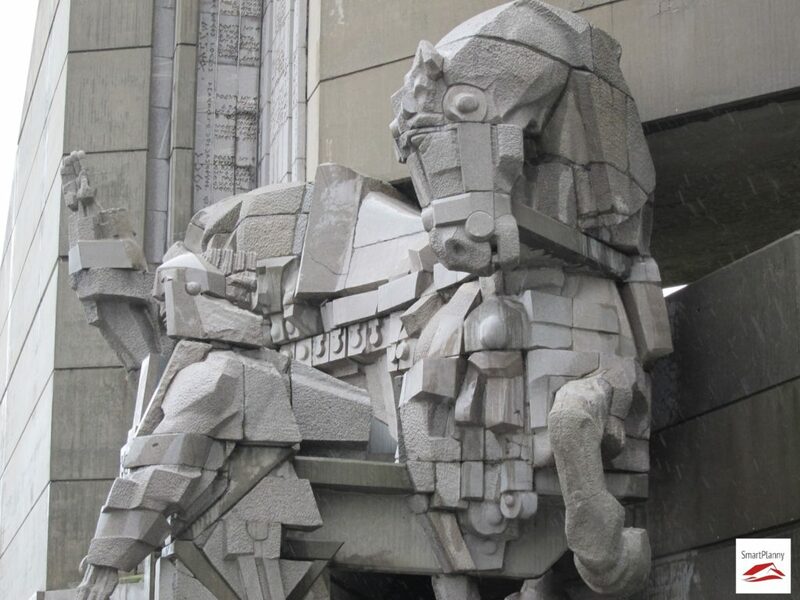 It is built with many resources from the Bulgarian population in the communist period. The memorial recreates important moments from Bulgarian history from the 7th to the 10th centuries. See below how mighty and impressive is only the horse of the Khan. Every little move is depicted in a concrete block, it looks like alive and done by avangard artist today. 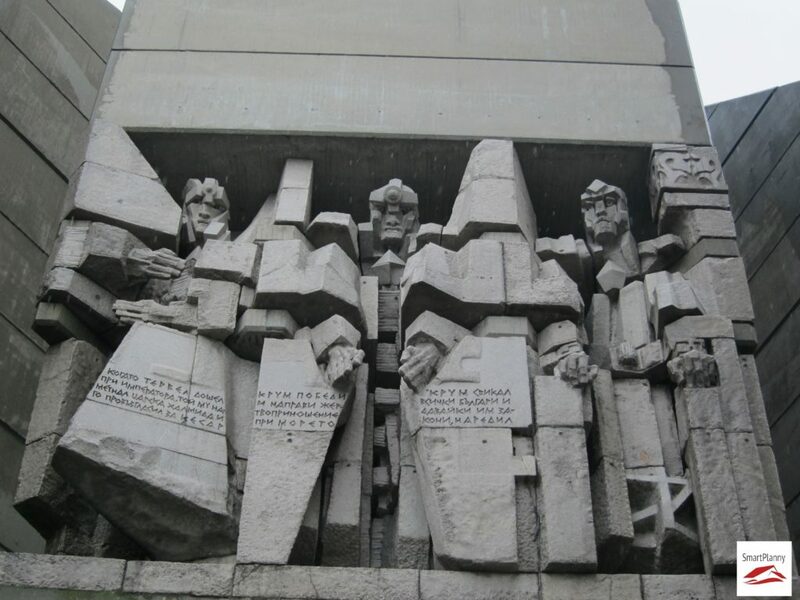 At 18 meters above it are the statues of Tervel, Krum and Omurtag – the rulers who affirm the Bulgarian state. Khan Tervel is the first Bulgarian diplomat. 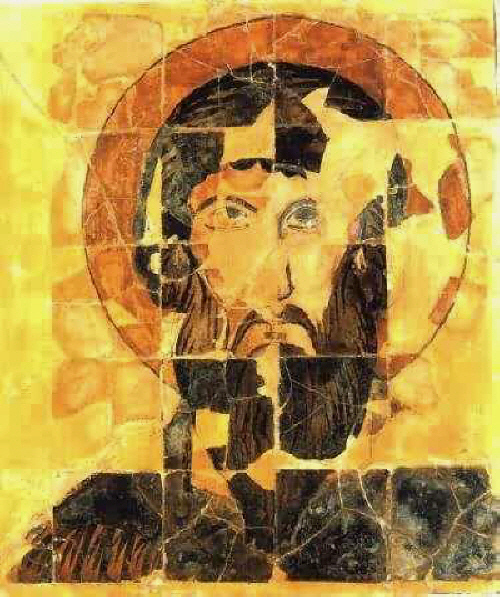 In 705 he saved Constantinople from being captured by the Arabs, and helped the Byzantine Emperor to return the throne. On the right is the sculpture of Khan Omurtag, known as a builder and philosopher. He managed to provide the Bulgarian people with a 30-year peace treaty with Byzantium. The words of Omurtag in the gallery “A man even lives well, dies and another is born and let the born later see this writing remembered for the one who made them “are widely known and quoted until today. My favorite statue is the one of Boris I, who has historical merit in the introduction of Christian faith in Bulgaria. 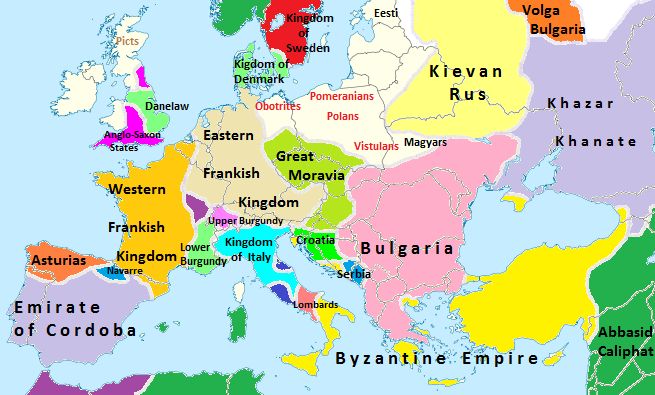 Thus Bulgaria joins the “Byzantine family of nations” in which the Bulgarian ruler is considered the spiritual son of the Byzantine Basil. The figure of Prince Boris is leaning forward as if looking out into the distance to find the right path for his people. When you see it, your hair is pricking… you have the feeling that the ruler is watching at you! So powerful are his gestures and pose which is amazing for a concrete monument. There are many more statues to see there ( the composition with Tsar Simeon, the gigantic lion on the top of the monument, 2 mosaic panels) and all of them are inspiring different symbols, a sea of emotions, game of colors and effects which present various themes and highlights from the turbulent past of the country. 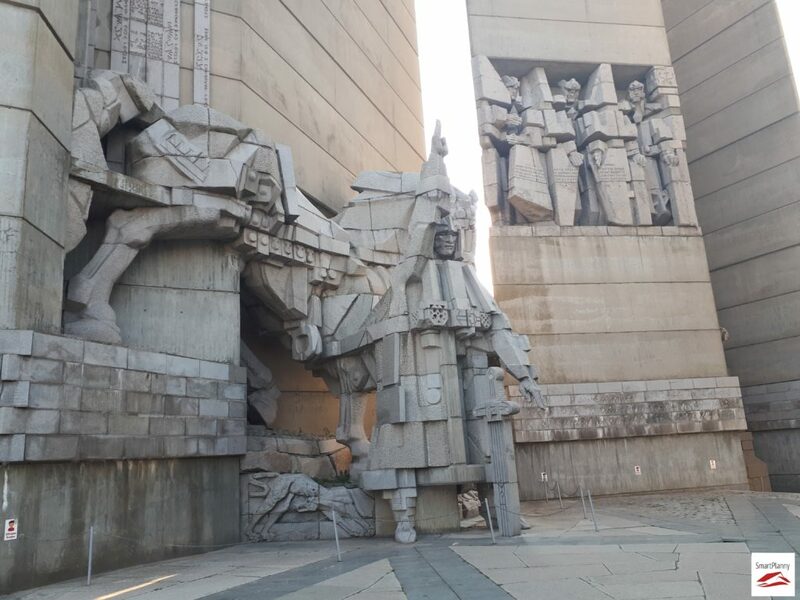 The monument is gorgeous as even built before 40 years in a period of Bulgarian history which was not the most favorable period for the art and sculpture, it preserves its contemporary and even futuristic impact still today.